In 2011, I had my first Porsche (a 1999 red Carrera Cabriolet) for less than two years. 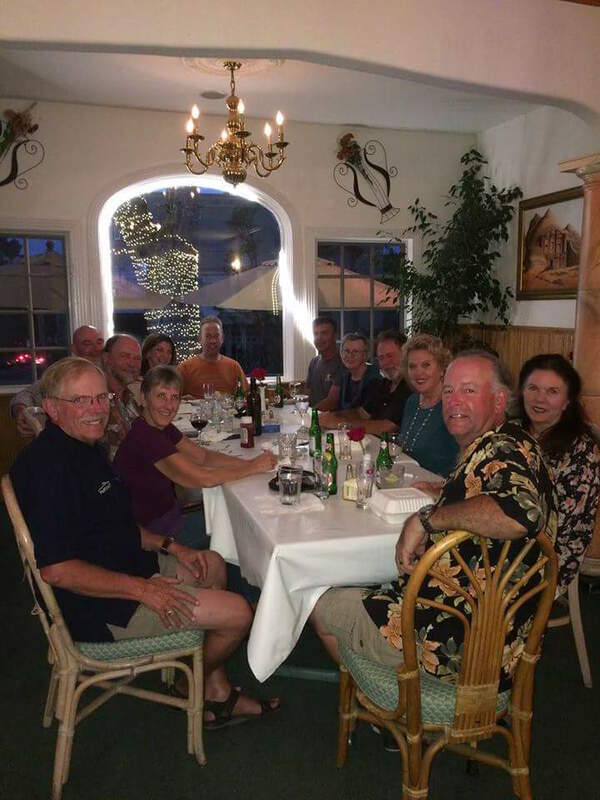 Sandy, my wife and I were enjoying our PCA membership by attending most of the region's events. 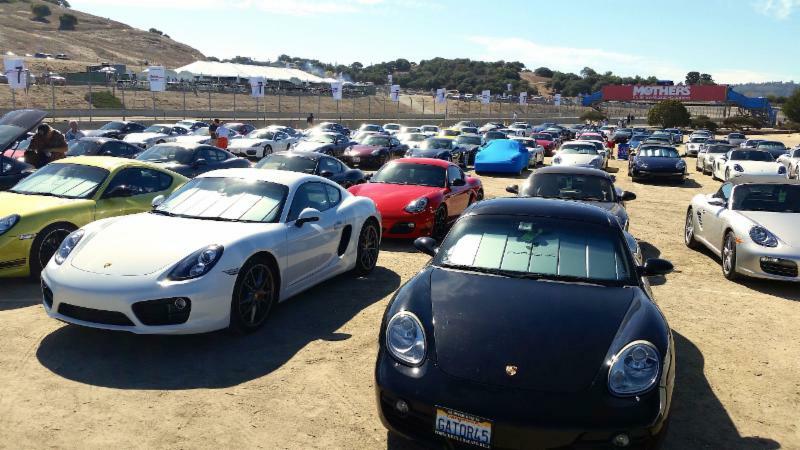 We started hearing all the hype over Rennsport IV coming to Laguna Seca so we attended the event and now understand the significance of this festival that's about all things Porsche. From corrals, races, race drivers and museum displays it was all there to see. 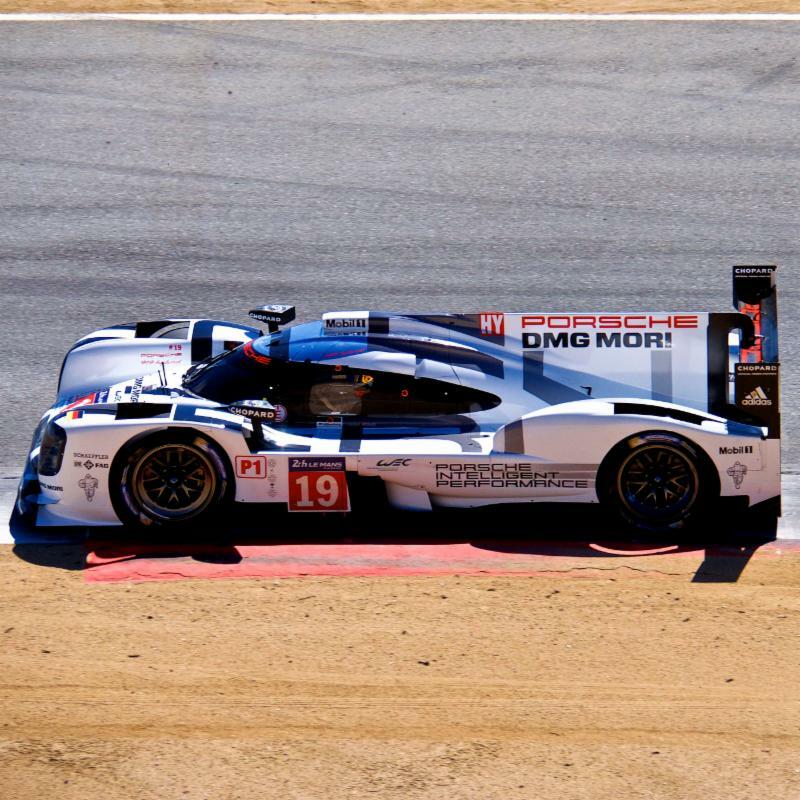 Now, moving forward to Sept 2015, Rennsport V reemerges back at Laguna Seca with bigger corrals, more racing, a lot of famous drivers and outstanding displays of past and current Porsches. My wife wasn't able to attend this year due to her new job. My Carrera has been replaced with a 2006 black Cayman S. The following are some of my impressions of this event. 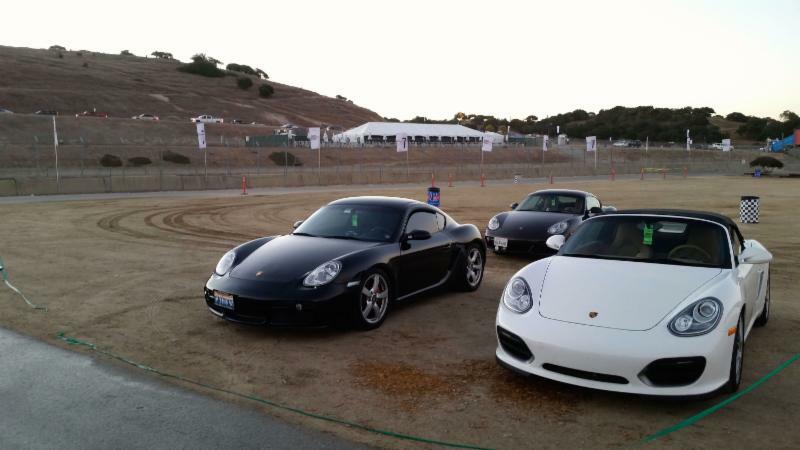 I started my Rennsport V adventure early Friday morning parking in the Boxster-Cayman corral. I spent all day looking at over a hundred vendor offerings and displays. 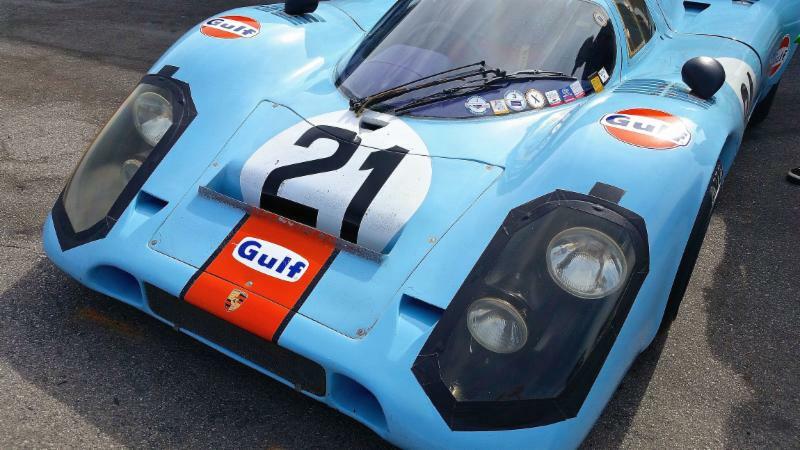 I then migrated to the historic pavilion full of classic Porsche racing machines. My afternoon was filled with walking through the pits seeing the all the racers trying to qualify for the Sunday finals. 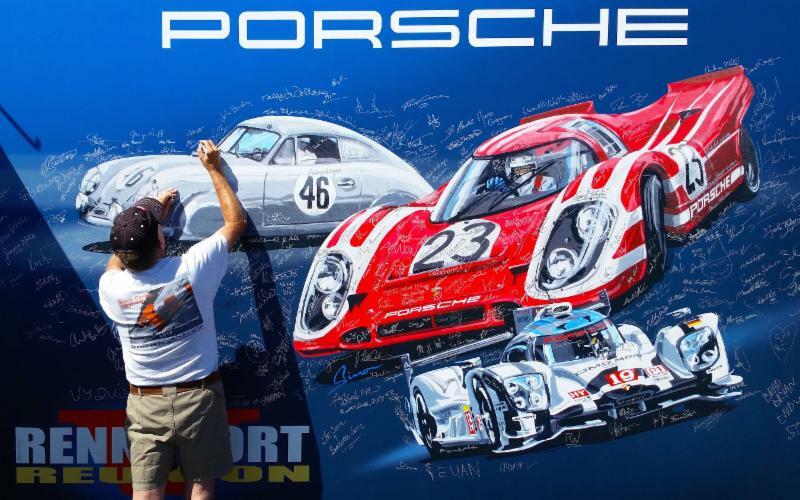 I also got my Rennsport V poster and covered it with a dozen racing legends signatures. 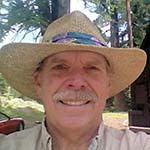 After all day walking with my friend, Ron Breeze and I headed for nice meal and a good night's rest. Saturday, Ron and I rolled out at 6 am to get to the track for our volunteer assignments. We got the Boxster-Cayman corral. 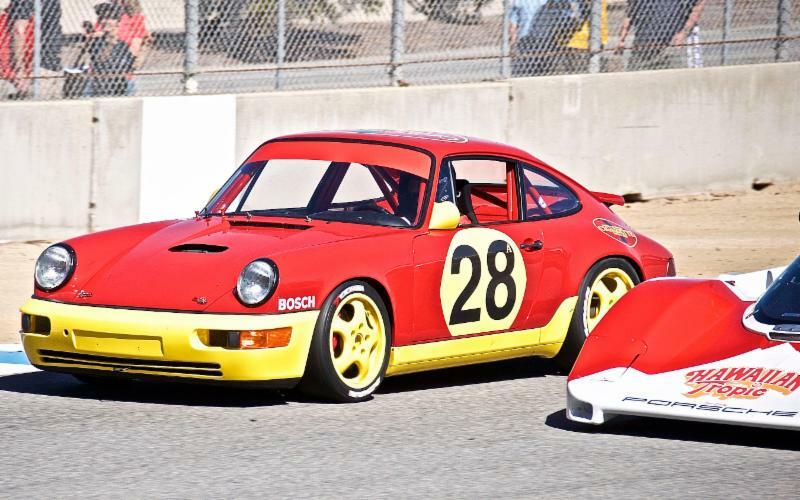 In three hours, we guided 200 Porsches into a selected lineup. Our shift ended at 10 am so we headed for selected parts of the track. My son, Sean and his friend John met us at turn 5 to watch the races. On Sunday I was anxious to get some last great racing legends signatures. Then I attended an interview with Hurley Haywood and Jacky Ickx , the grand marshal of this event. After that event, I opted to head home and miss my parade laps. I drove up the scenic highway thinking about all the things I saw. 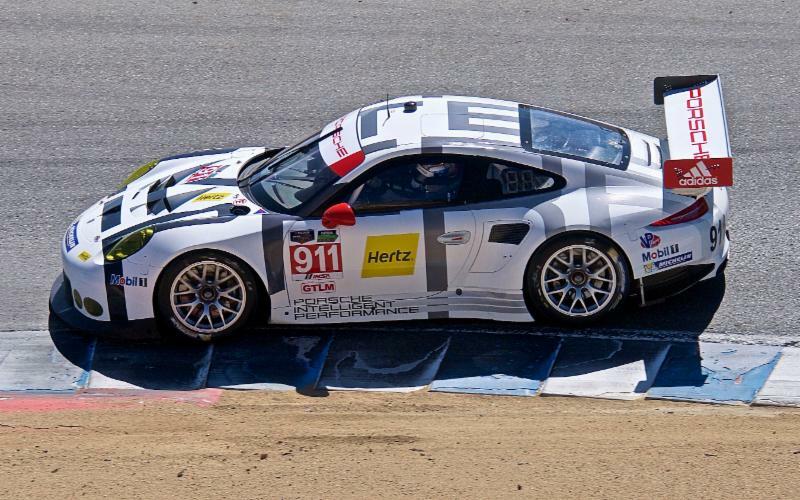 Over 2000 Porsches in the corrals, 400 Porsches racing around Laguna Seca, all of the racing legends who drove Porsches to the podium all over the world and everything that happens with celebrating the iconic Porsche auto. 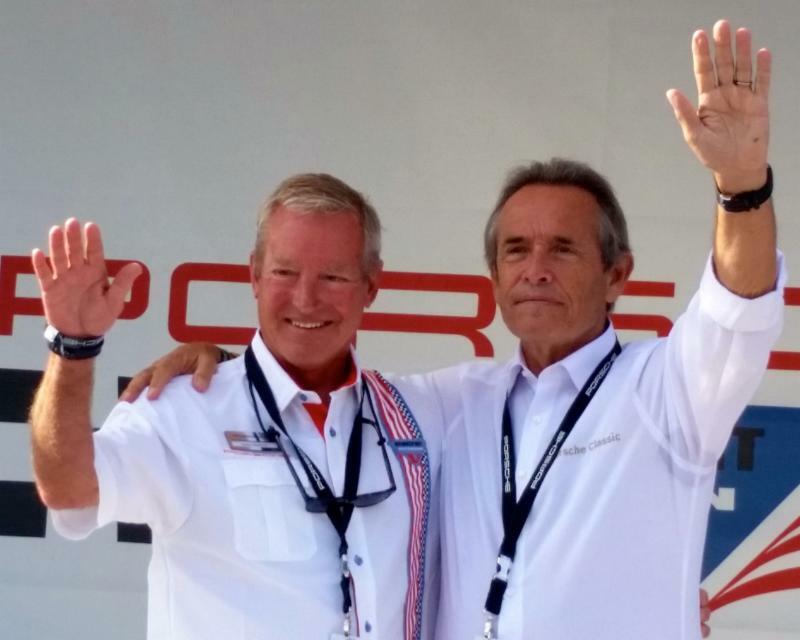 Hurley Haywood and Jacky Ickx. Racing legends waiving to the crowd after their Sunday interview.